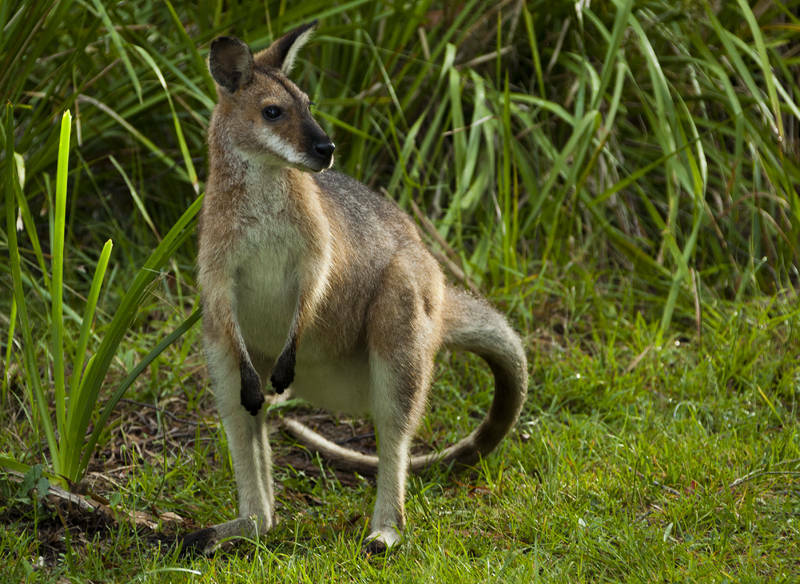 This Red-necked Wallaby was the first thing I saw when I emerged from our van in the Guy Fawkes National Park in New South Wales. It had been a wonderful night. We camped in a spot next to the river and our own little waterfall. The ranger had left a huge pile of chopped wood ready for campfires, and as evening fell the bush around us filled with fireflies. We almost did not discover this idyllic spot. The listing warned of “24km dirt road No Caravans or Motorhomes” but as we are in a Classic Campervan which seems to be capable of anything at a certain speed, we gave it a go. No Dramas.